Matthew Peca is a Canadian professional Ice-hockey player who plays in the National Hockey League (NHL). As of 2019, Matthew Peca currently plays for the Montreal Canadiens as their Centre. Peca reportedly earns around $1,300,000 as his yearly salary from Montreal Canadiens. Further, he has an estimated net worth of over $1 million. He is currently dating his girlfriend, Erica Laurenzi. 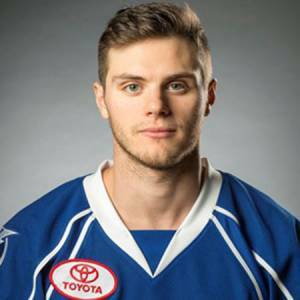 Matthew Peca was born on April 27, 1993, in Petawawa, Ontario, Canada to parents Frank (Father) but the details about his mother is not available yet. As per his nationality, he is Canadian and belongs to the White ethnic group. Further, his star sign is Taurus. Before becoming a professional, Peca played in the Central Canada Hockey League for the Pembroke Lumber Kings. He was claimed off waivers by the Kitchener Rangers before the 2011-12 season, but he never played for them because of his commitment to Quinnipiac University. 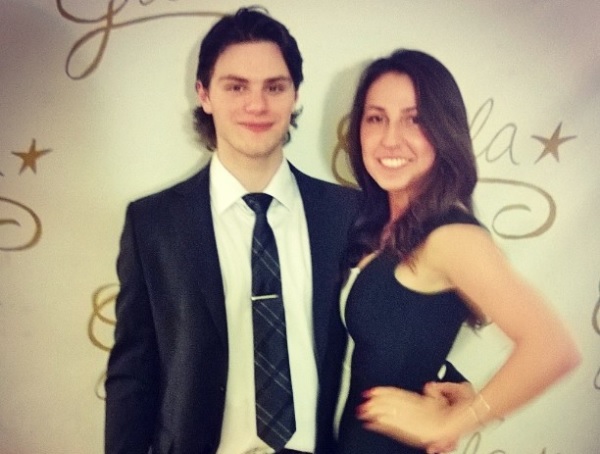 As of 2019, Matthew Peca has an estimated net worth of over $1 million. In 2018, he was signed by with Montreal Canadiens to a 2 year / $2,600,000 contract, including $2,600,000 in guaranteed. Further, the NHL player has an average salary of $1,300,000 annually while Tomas Tatar is one of the highest earners of the team with an annual salary of $5,300,000. Matthew Peca so far has made earnings of $2,333,345 from his entire NHL career. Additionally, Peca will earn a base salary of $1,200,000 and a $100,000 signing bonus in 2018-19 while carrying a $1,300,000 as a cap hit. Talking about his personal life, there isn't any information if he is married or not. However, exploring his social media account, we found that he is enjoying a romantic relationship with his girlfriend, Erica Laurenzi. Apart from the mentioned fact, there isn't any information about the couple's plan to get married. In addition, Peca regularly posts a picture of him along with Erica on his Instagram account which suggests that the duo has been enjoying their relationship. Talking about his body measurement, the Famous NHL star is 5 ft 9 inches (175 cm) in height and weighs around 79 kg. After graduation, Peca signed an amateur try out with the the the American Hockey League affiliate of Tampa Bay Lightning, the Syracuse Crunch, before signing a two- year contract on April 1, 2015, with the Lightning. The Tampa Bay Lightning announced on December 27, 2016, that Peca would be called to the roster of the NHL. Peca recorded his first career NHL point on December 31, which was Alexander Killorn's assist on a goal. Peca scored his first NHL goal on January 3, 2017, against the Winnipeg Jets' Connor Hellebuyck, making him the first Quinnipiac Bobcat to score a goal in the NHL. Currently, Matthew is in a contract with Montreal Canadiens, signing a contract on July 1, 2018. The famous Canadiens center is playing along with his star team-mates such as Artturi Lehkonen, Jonathan Drouin and many more.